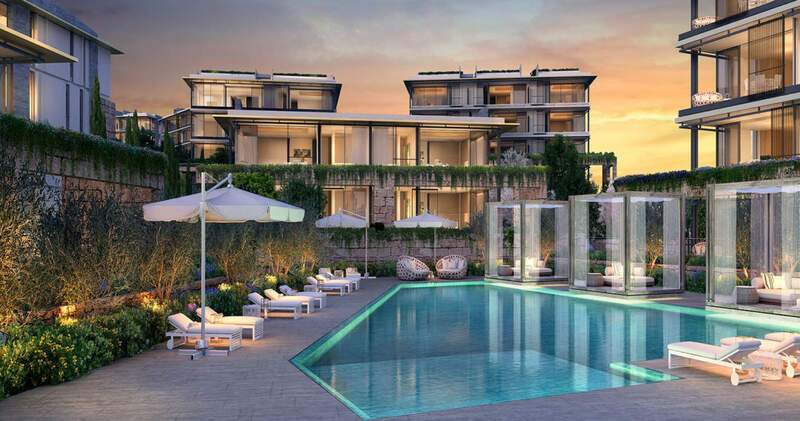 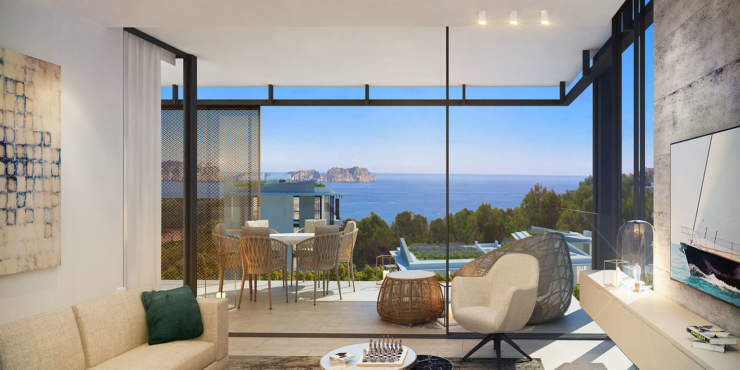 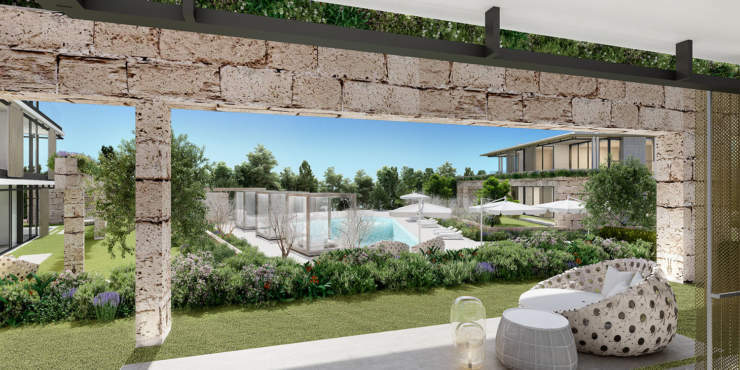 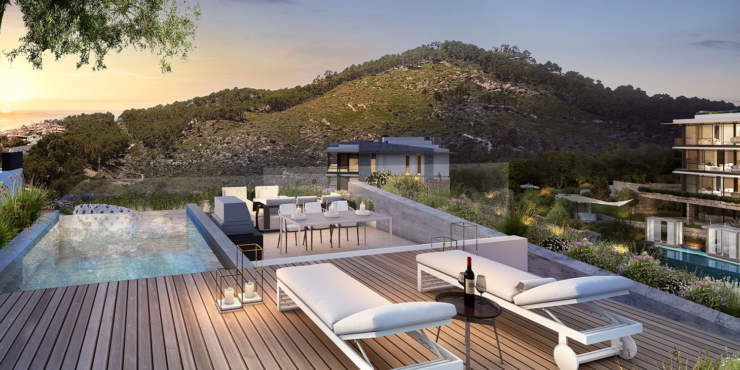 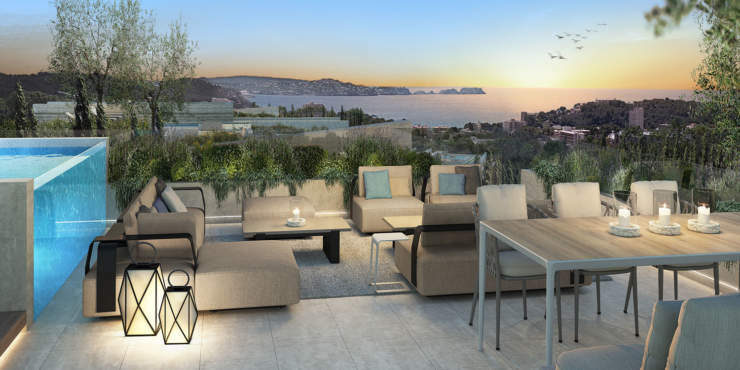 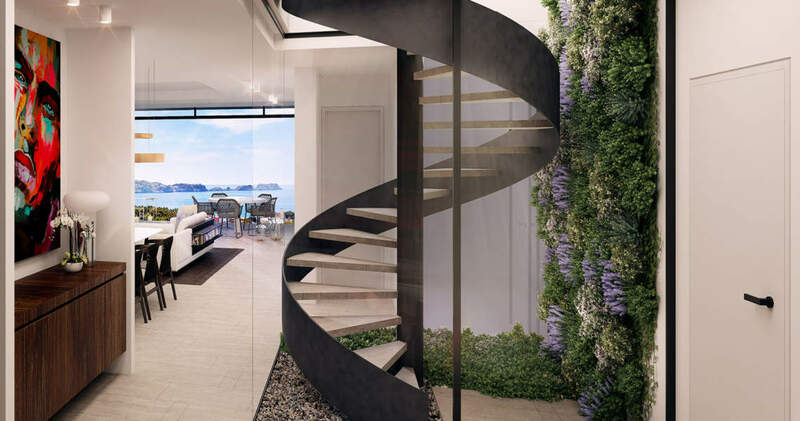 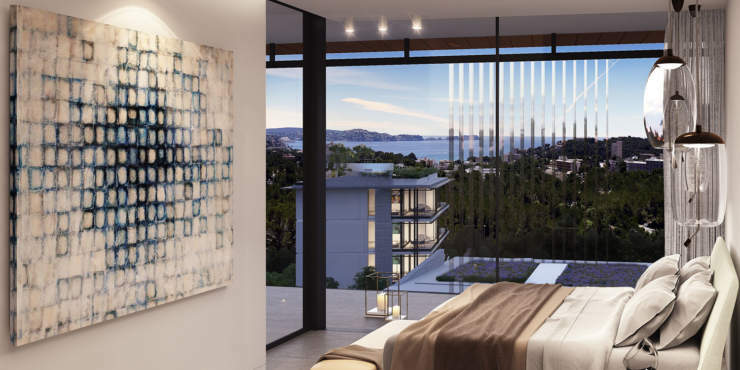 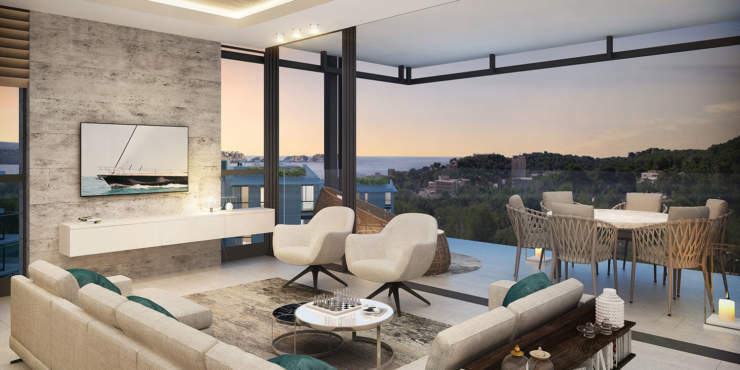 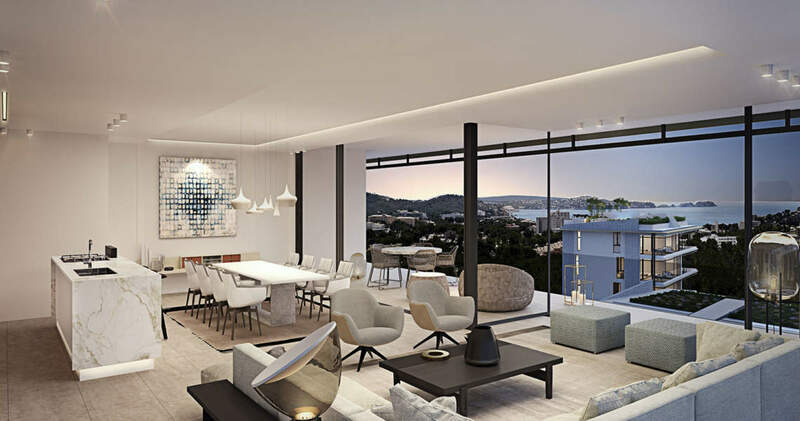 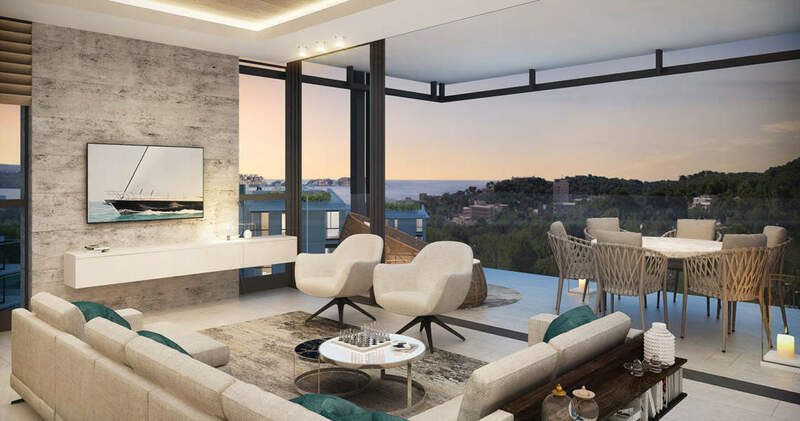 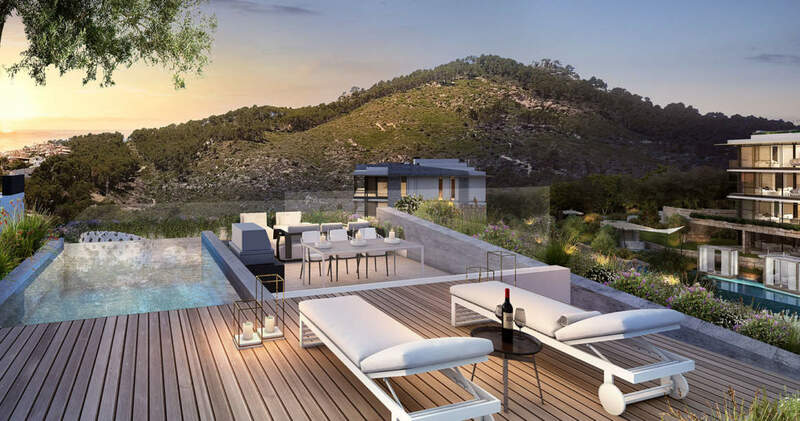 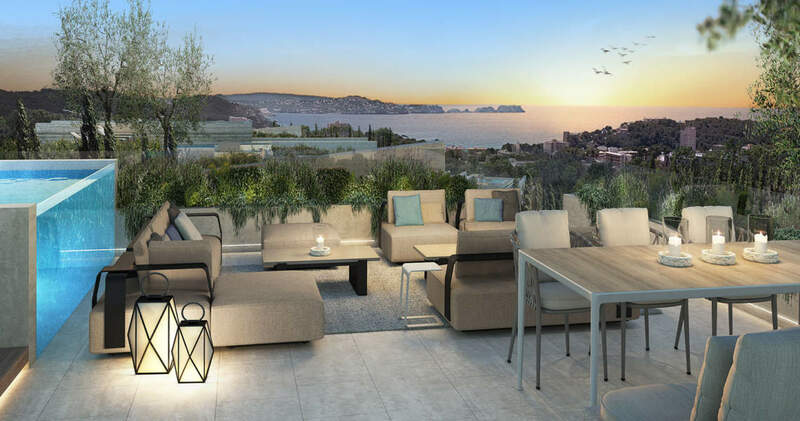 This modern apartment complex is currently being developed on a prime plot of land on a hillside between the coastal resorts of Camp de Mar and Santa Ponsa. 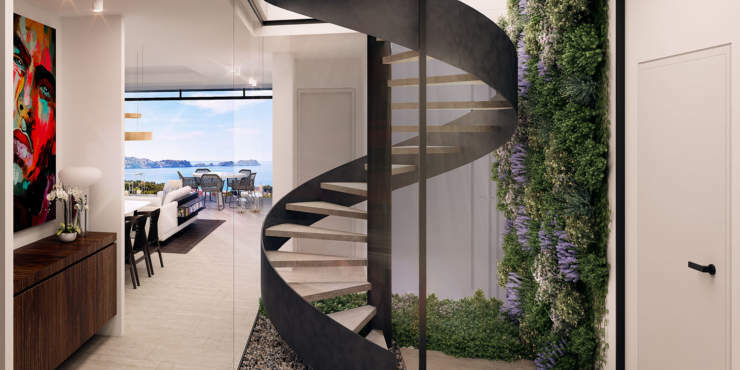 Top quality materials are being used in its construction which will meet the highest building specifications. The stylish new buildings combine a state-of-the-art, extravagant design with optimum living comfort. 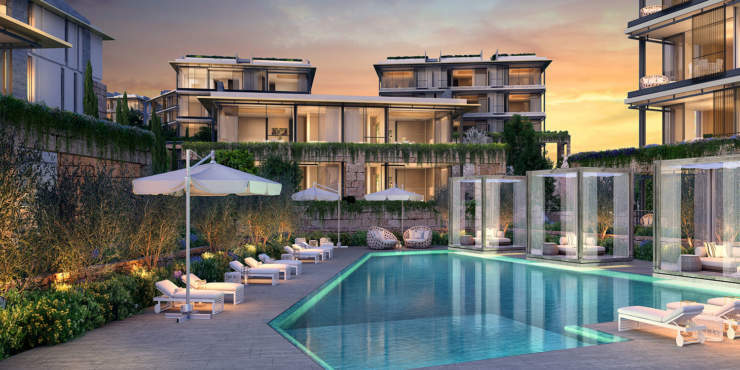 This luxury project is divided into two separate building ensembles. 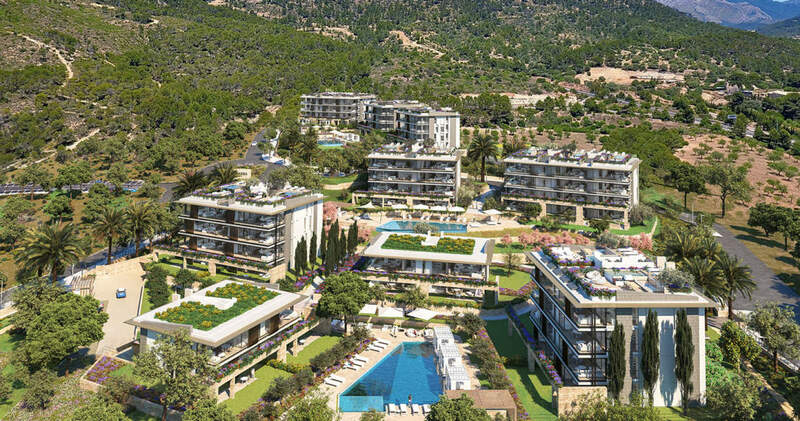 Complex I comprises three buildings with a total of 28 units and complex II consists of six buildings with an additional 44 units. 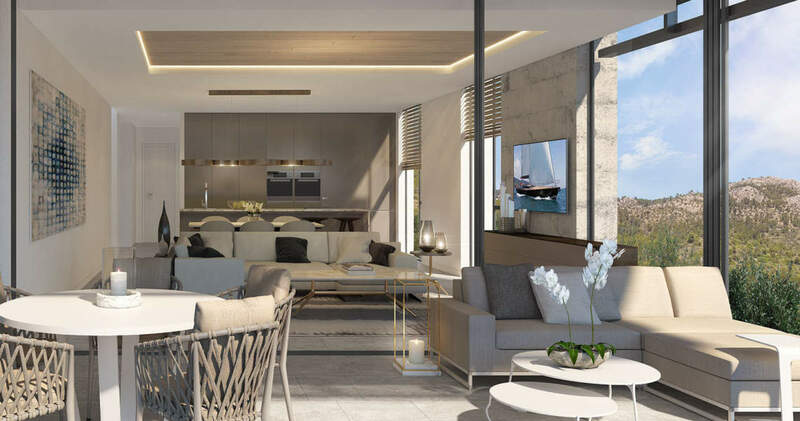 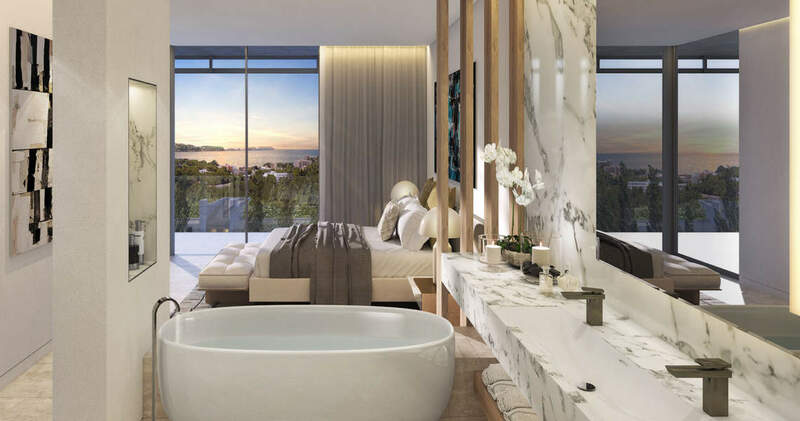 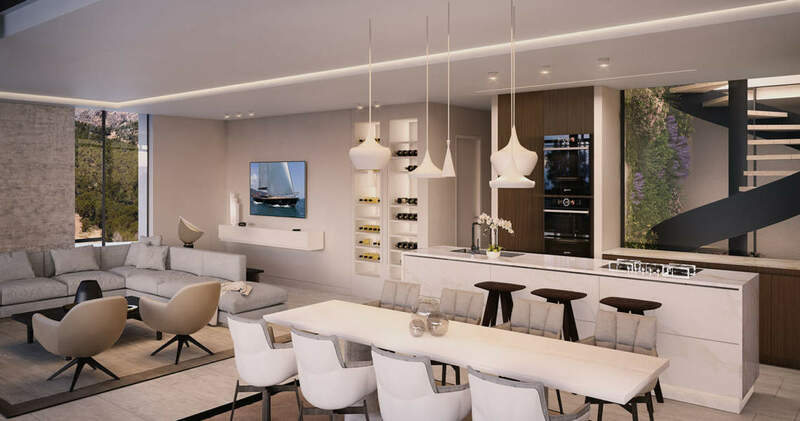 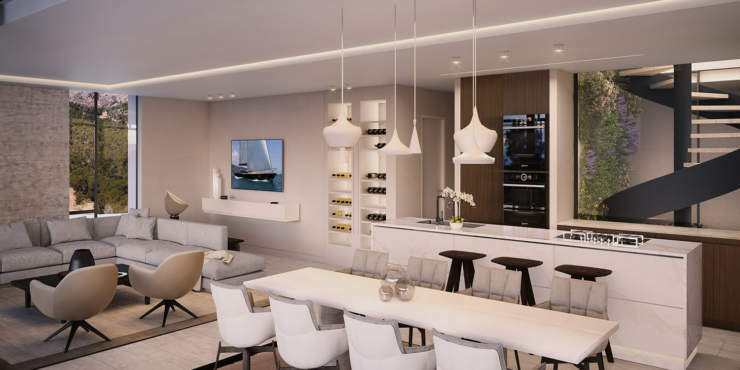 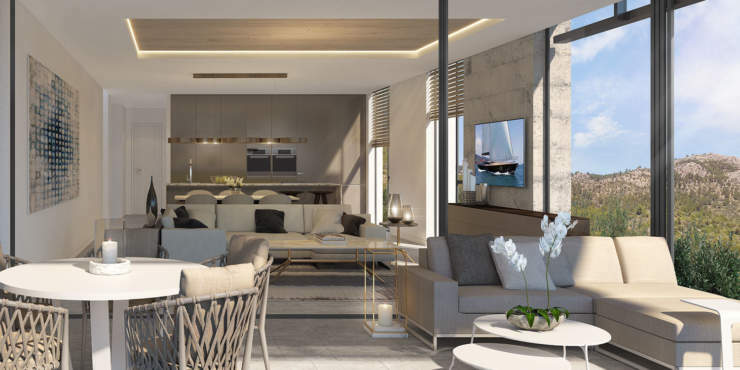 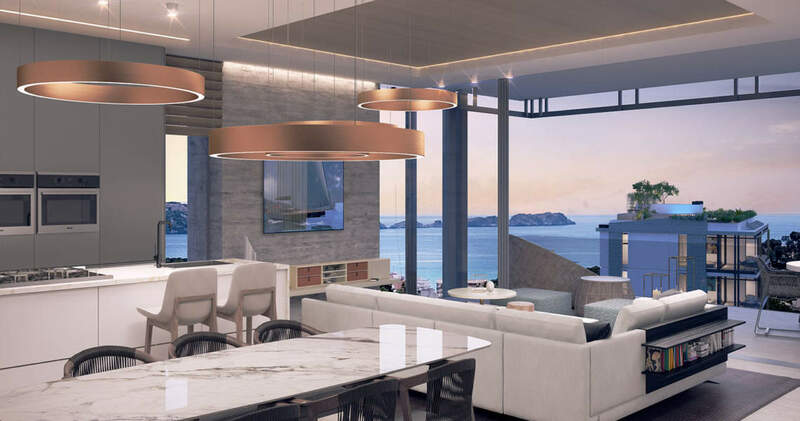 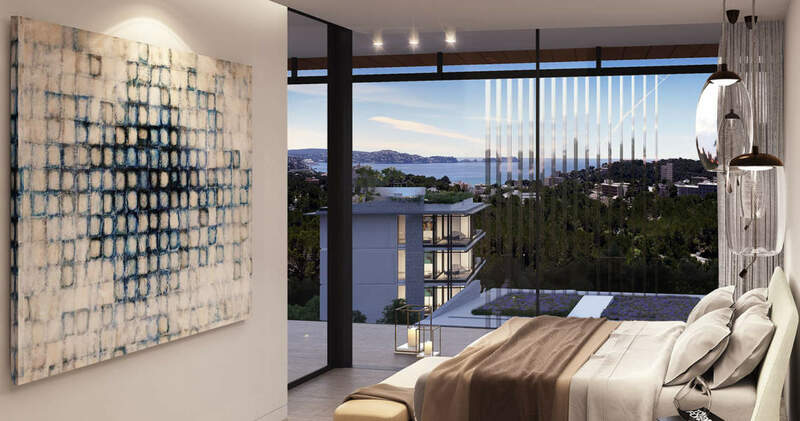 Each of the apartments offer a floor space of between 138 m² to 412 m² and feature a light-filled living/dining room with open plan kitchen, and 2 to 4 bedrooms plus a guest toilet and a utility room. 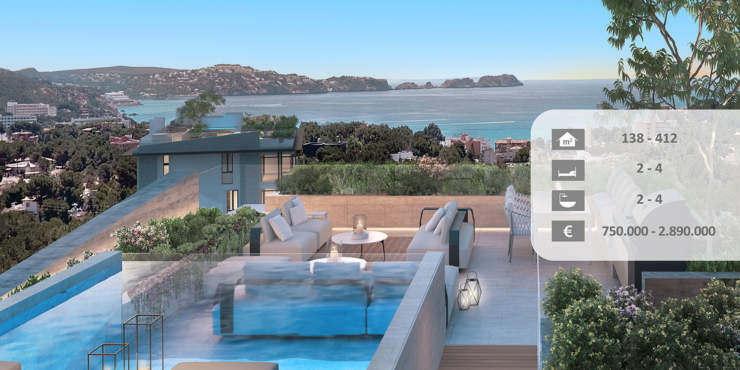 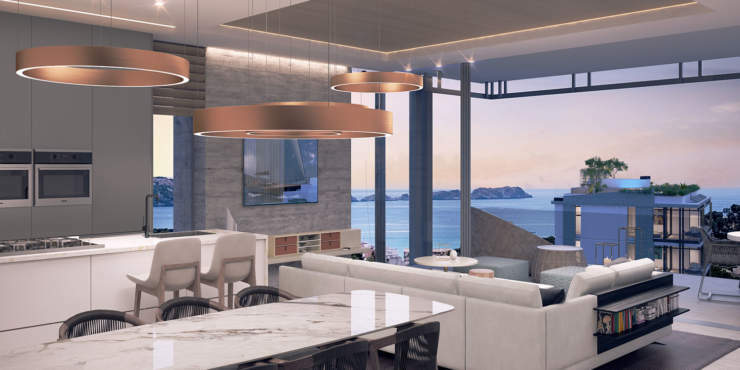 Each of the 16 penthouses have their own roof terrace with pool and chill-out area. 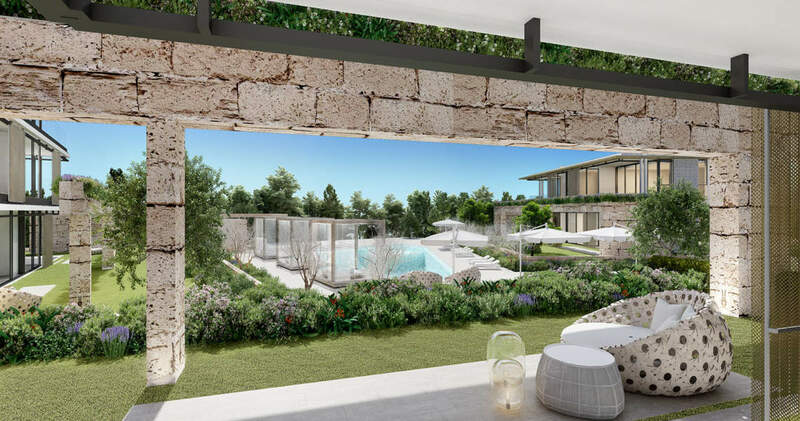 Manicured lawns and Mediterranean gardens surround the residence and communal facilities include open and covered terraces, several swimming pools and inviting sun terraces.